Old Dominion Freight Line Inc. is planning to build an $8.3 million distribution center in the Glenville Business and Technology Park. The company plans to build a 40,000 s/f warehouse on 13-acre parcel at the entrance to the business park. The building will employ 38 people when completed next year. Construction will start the summer of this year. The 152-acre Glenville Business and Technology Park is owned by the Galesi Group of Rotterdam. Samet Corp. of Greensboro has been selected as general contractor for the project. The Schenectady County Industrial Development Agency approved the package of incentives for the project, including a sales-tax exemption on building materials, that could save the company $500,000 over a 10-year period. 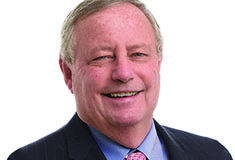 Ray Gillen, chairman of the Metroplex Development Authority, said, "Old Dominion's selection of the Glenville Business and Technology Park will help us land other companies who often cluster near their service centers. 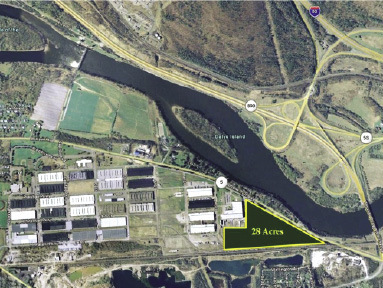 The Glenville site is ideally located right at Exit 26 of the NYS Thruway. We appreciate the strong support we received from the County, the Town of Glenville and the Galesi Group to bring this major new investment to our community."